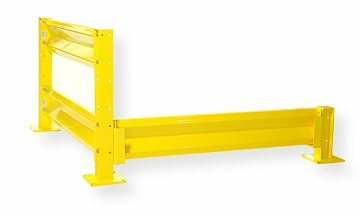 Manufactured at the highest quality standards, Loading Dock Supply's Crash Guard Rails are designed to stop impacts up to 10,000 lbs. moving at 6 MPH; when properly installed. 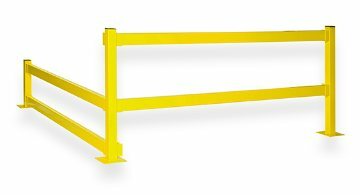 Loading Dock and warehouse Personnel Barriers are a simple solution for designating areas as off limits to personnel. Effectively utilized safety rail systems improve economy and safety for personnel, machinery, in-plant offices, electrical panels, tool cribs, conveyors, finished products, receiving docks, cooling equipment and many other areas in your plant. Door Track protectors save your dock from costly down time and damages. 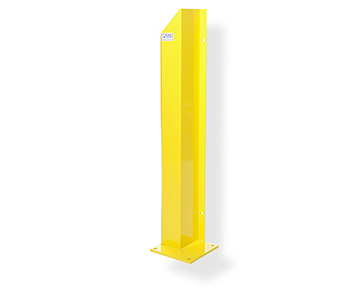 Posts protectors and rack guards are an essential component of any Loading Dock Environment where space is limited and racks are present. 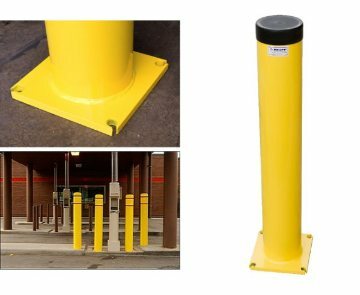 Protect your facility and employees from accidental injury and damage with heavy duty Steel bollards. Constructed of Schedule 40 pipe this 42" high barrier is built to stop runaway traffic before it makes trouble.